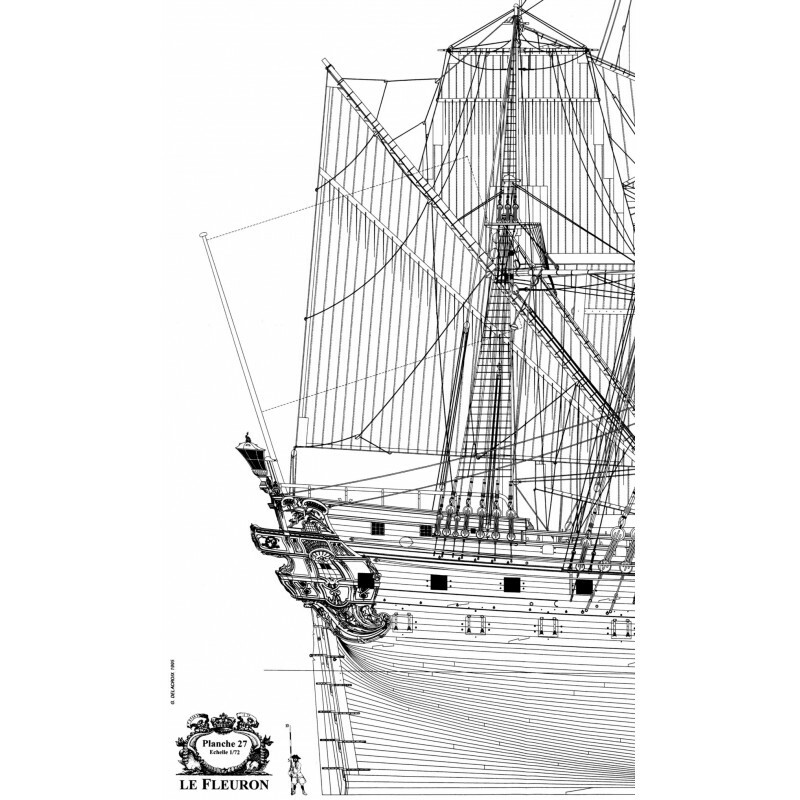 This monograph is the first in the series to be devoted to a ship of the line. 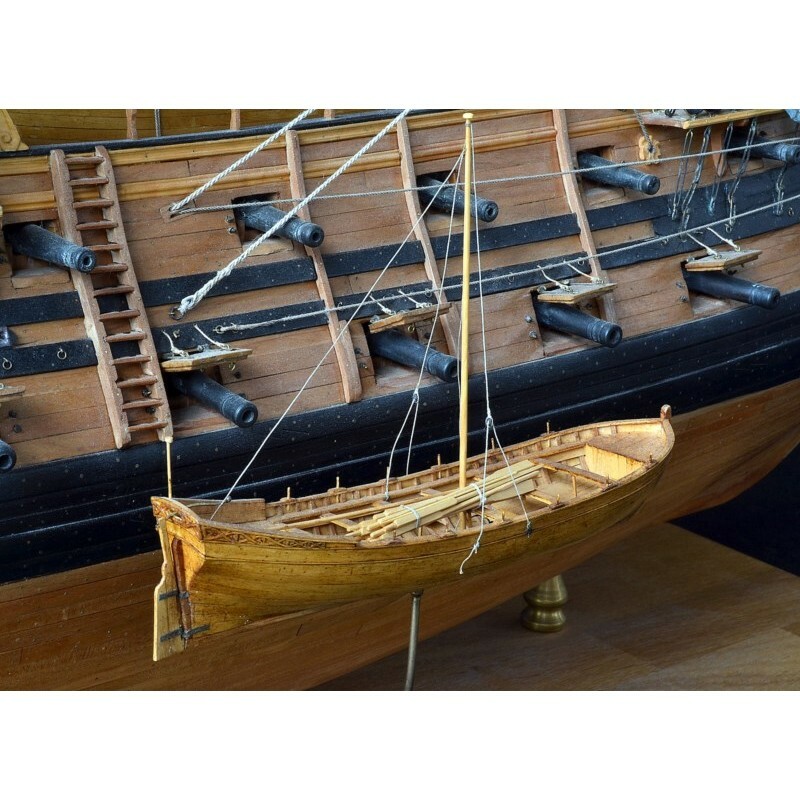 It is of particular interest since the ship we have chosen, the Fleuron - as it was conceived by Blaise Ollivier - is the first modern French ship. 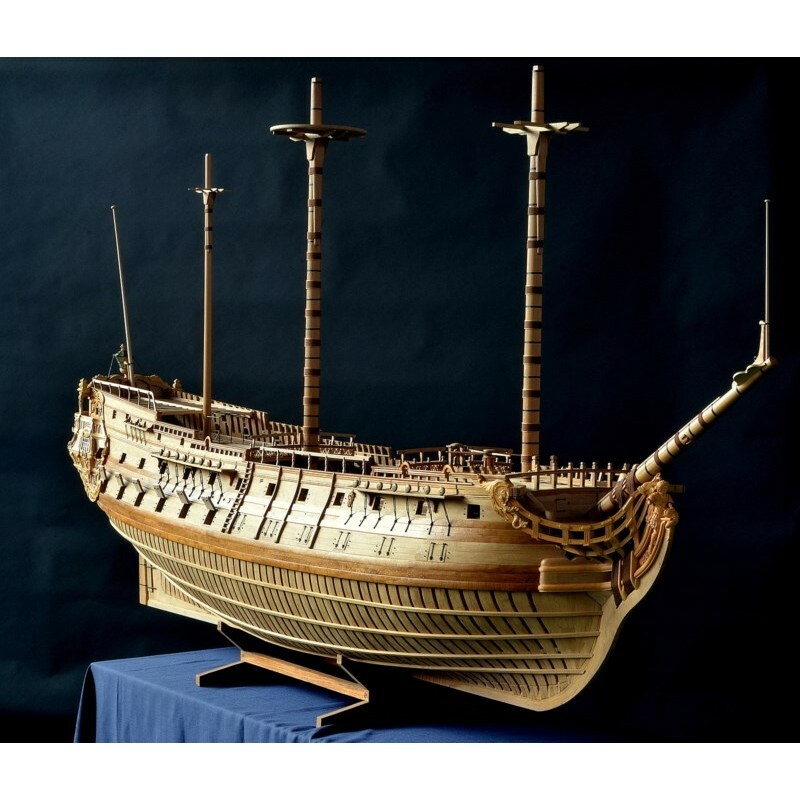 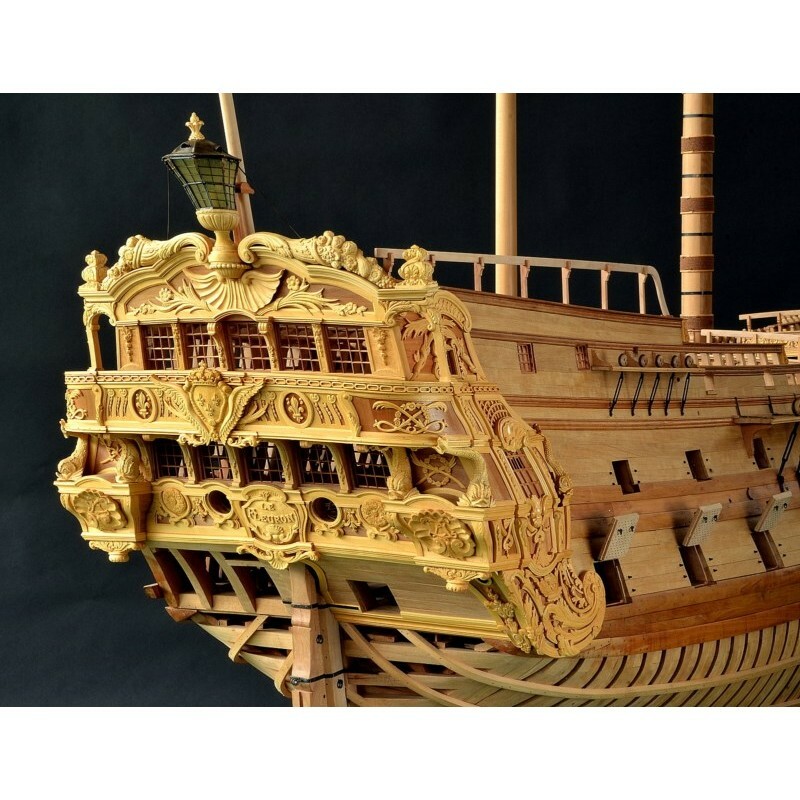 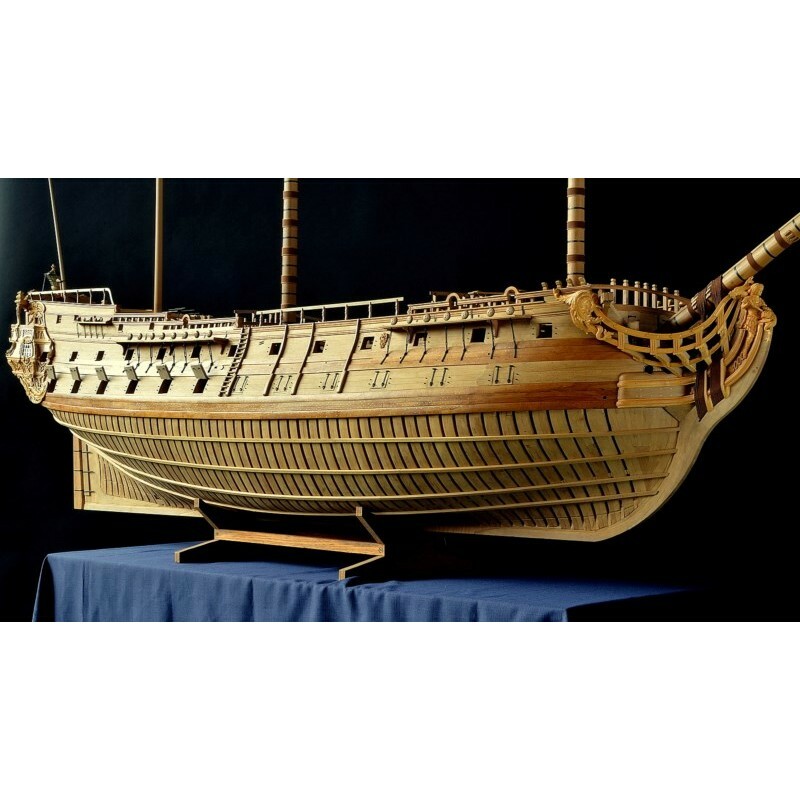 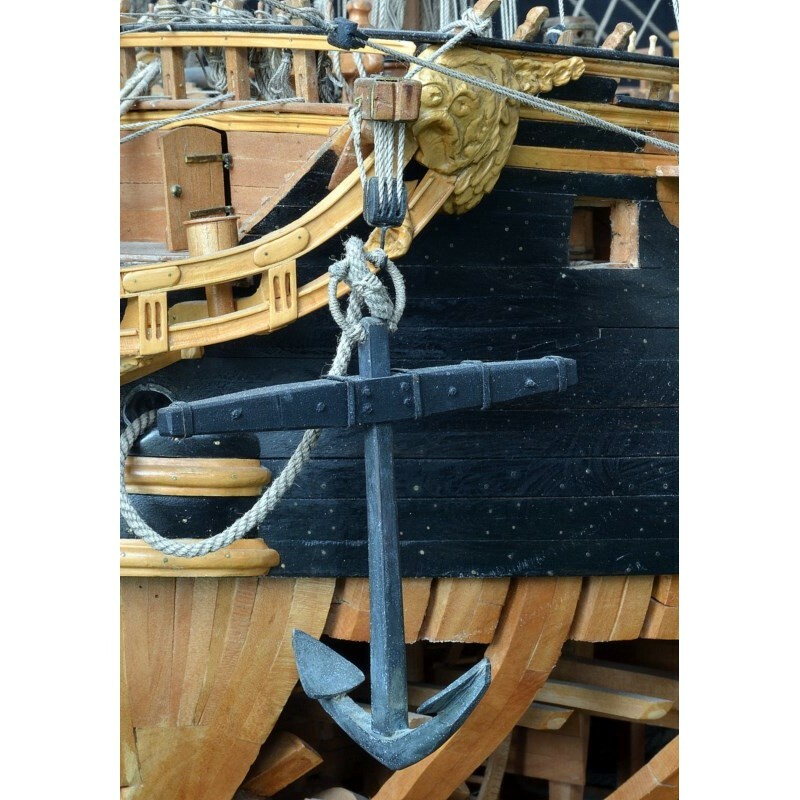 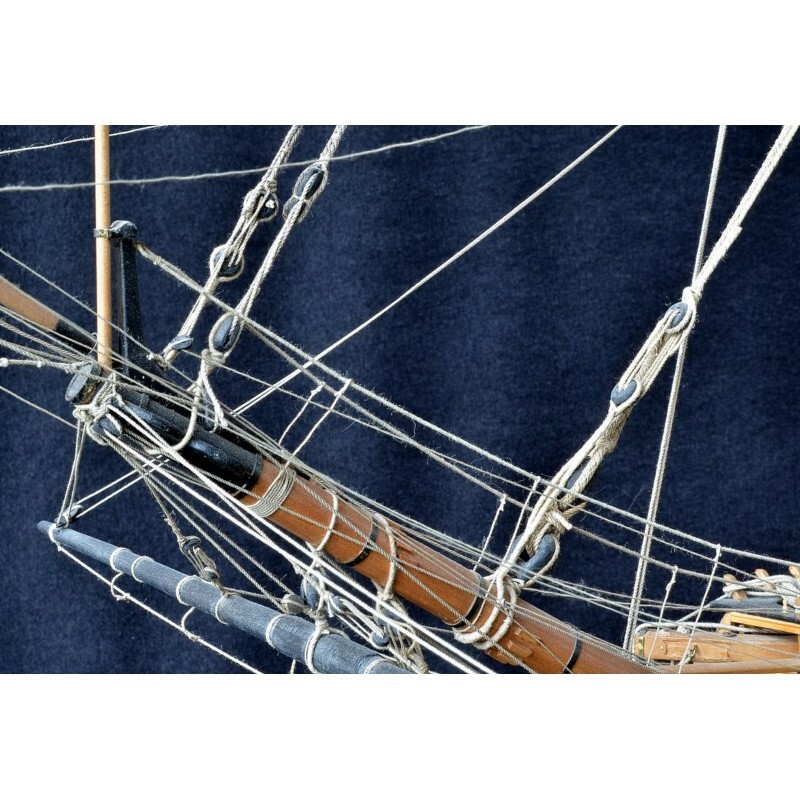 Moreover it represents a pure example of the French school of naval architecture. 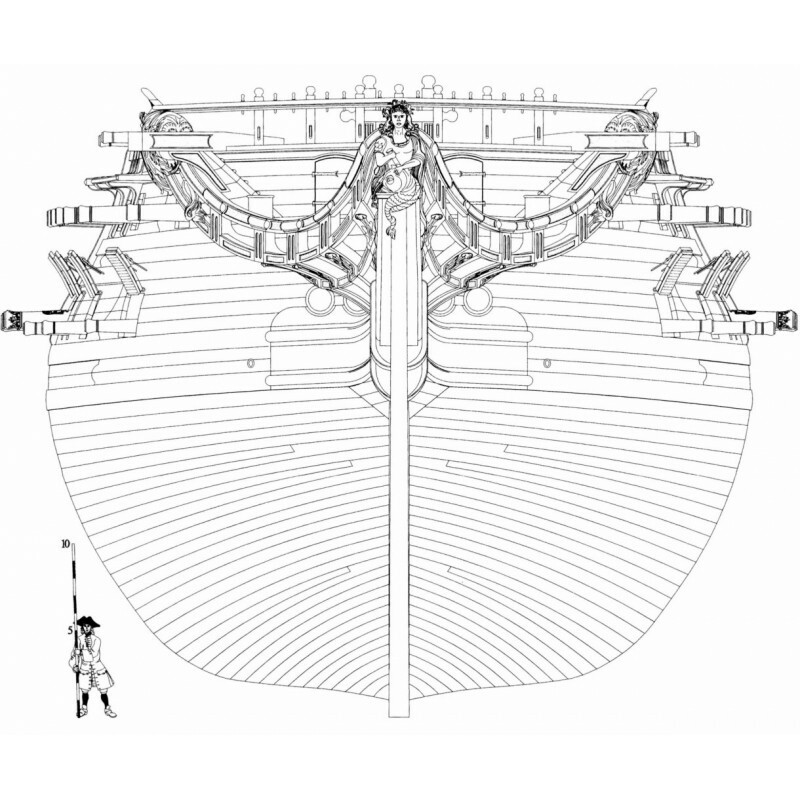 An exceptionally complete corpus of documentation includes a full description of the classification and characteristics of the ships, its creator's own drawings, original sketches of the ship's decoration and sculptures by Caffieri, and a complete set of information on the ship's rigging found in a manuscript of the period. 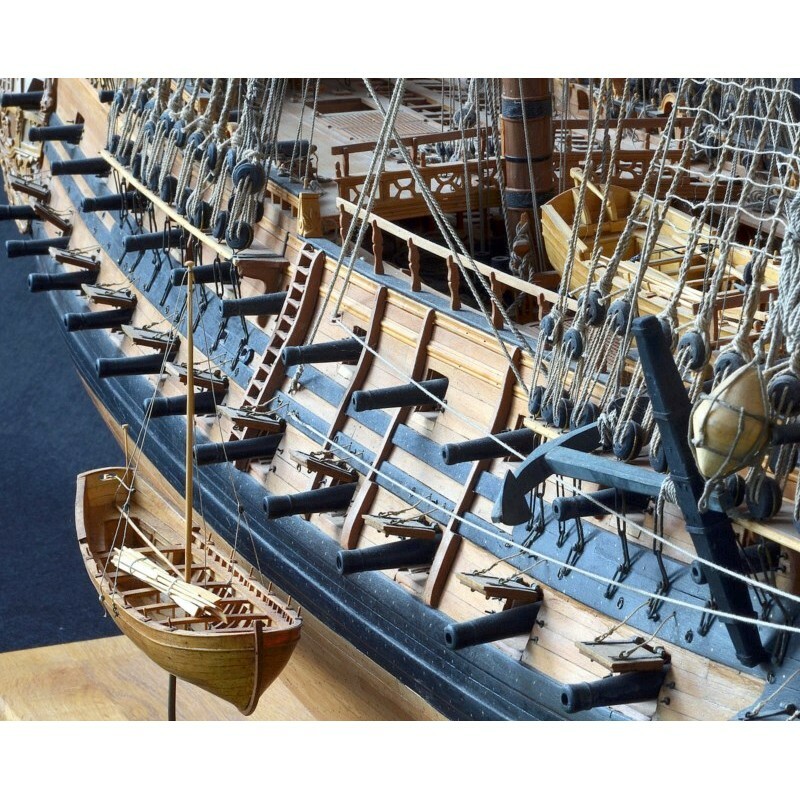 Because of the catastrophic losses incurred in our archives, it is extremely rare for us to have been able to collect so much material from irrefutable historical sources. 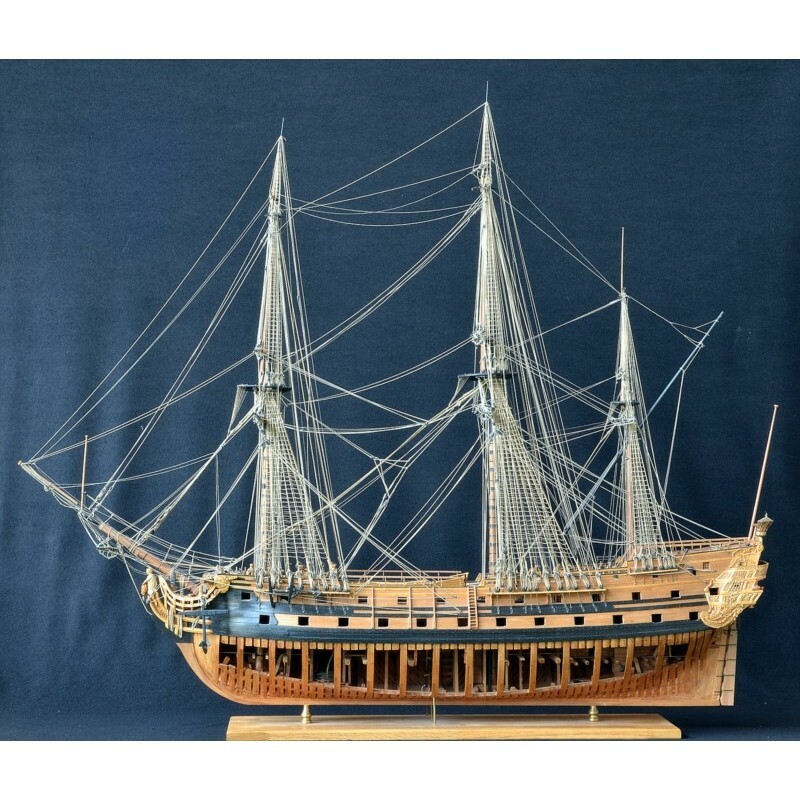 Gérard Delacroix, who did the drawings for the monograph, is a professional draftsman and a talented ship's model builder. 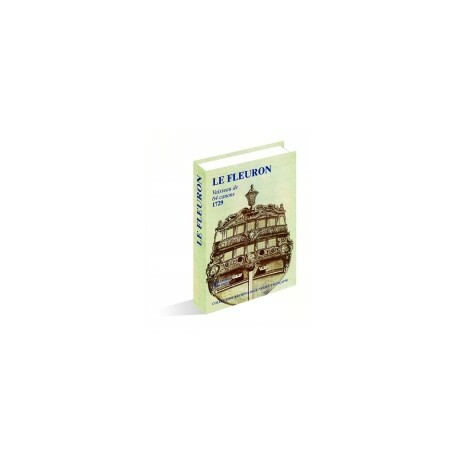 He assisted his mentor, Jean Boudriot, in developing and completing this study which we are particularly pleased to offer in our collection. 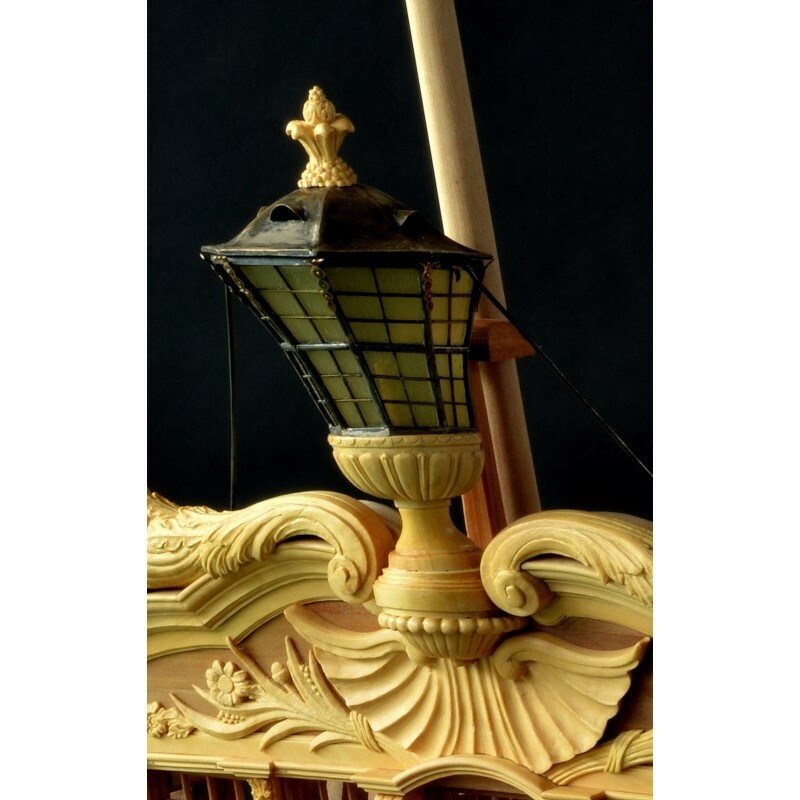 The distinguished features of the vessel will attract the attention of discerning model builders. 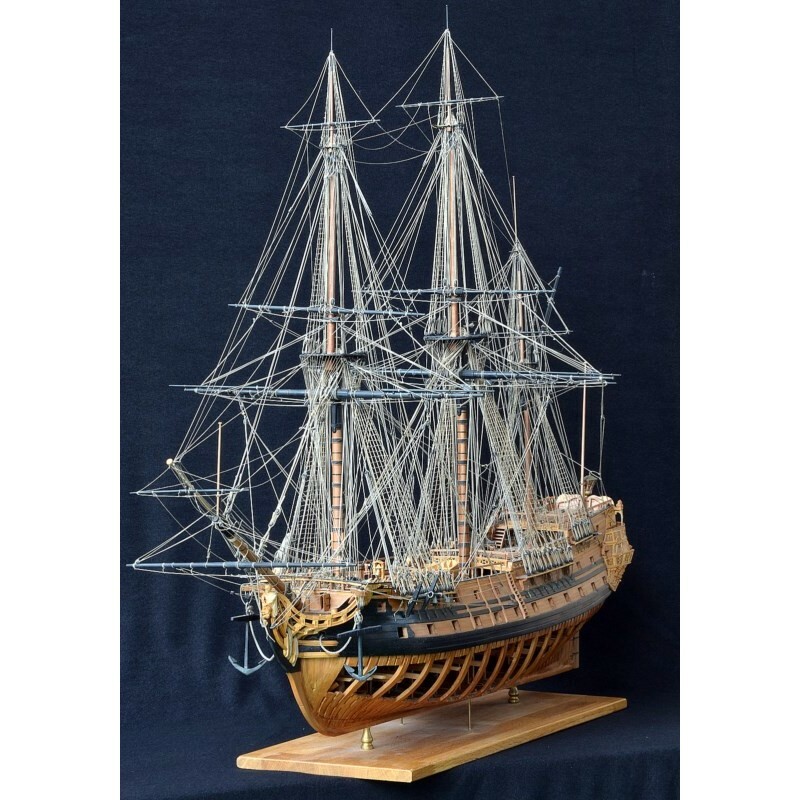 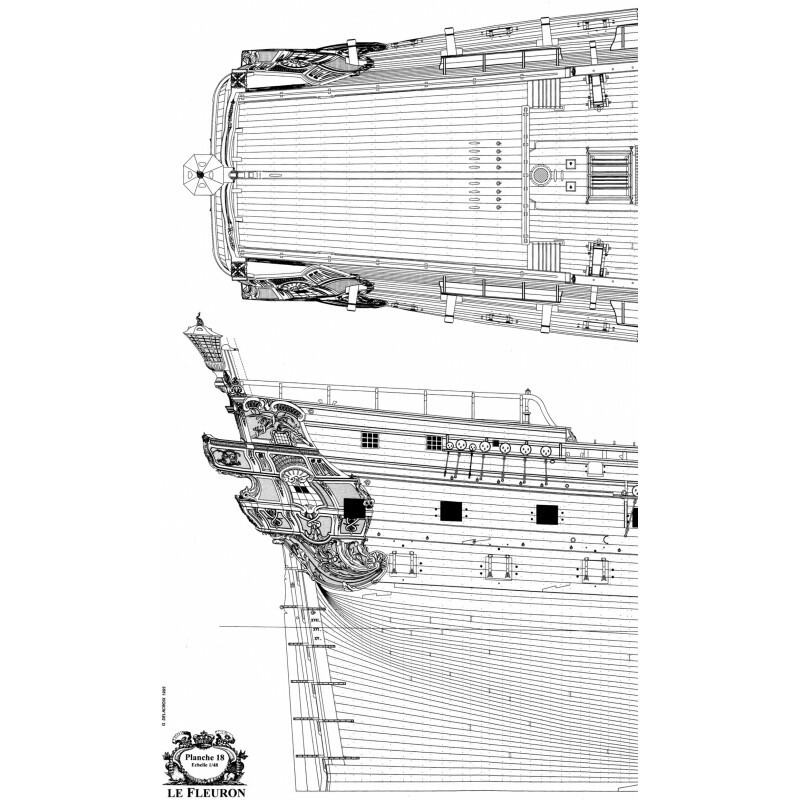 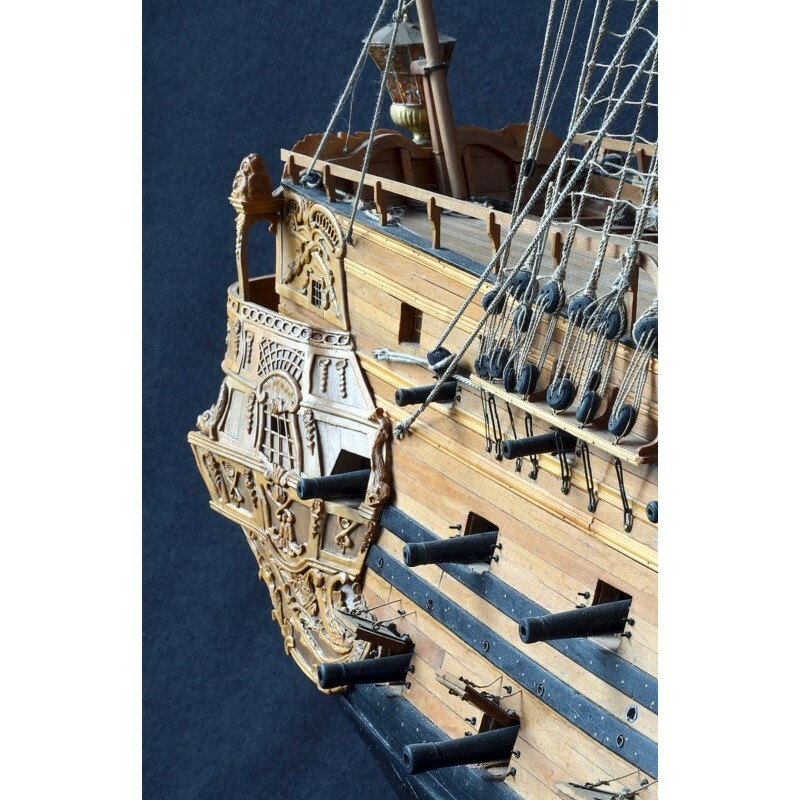 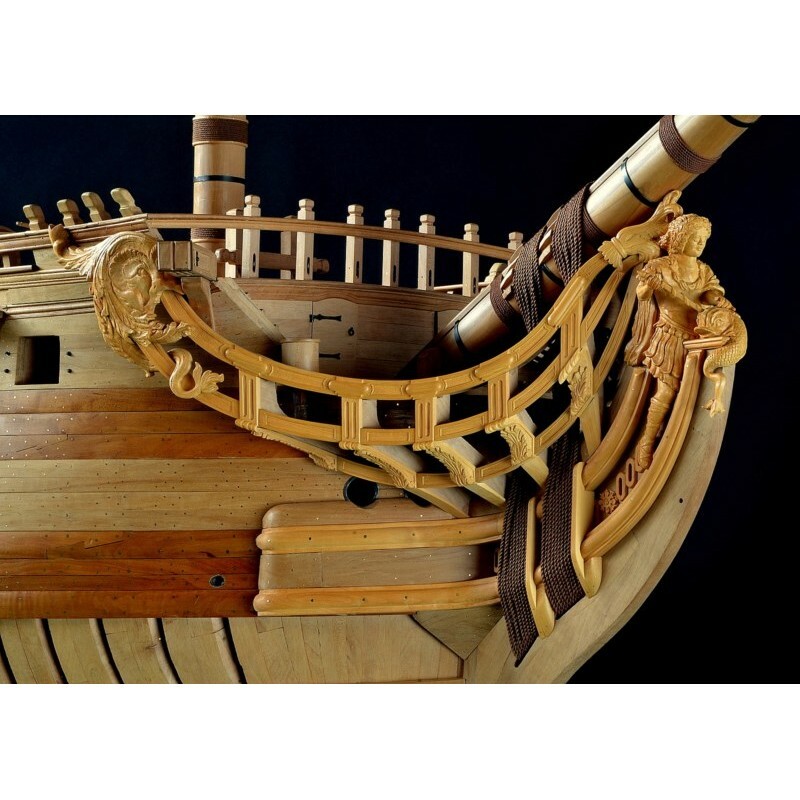 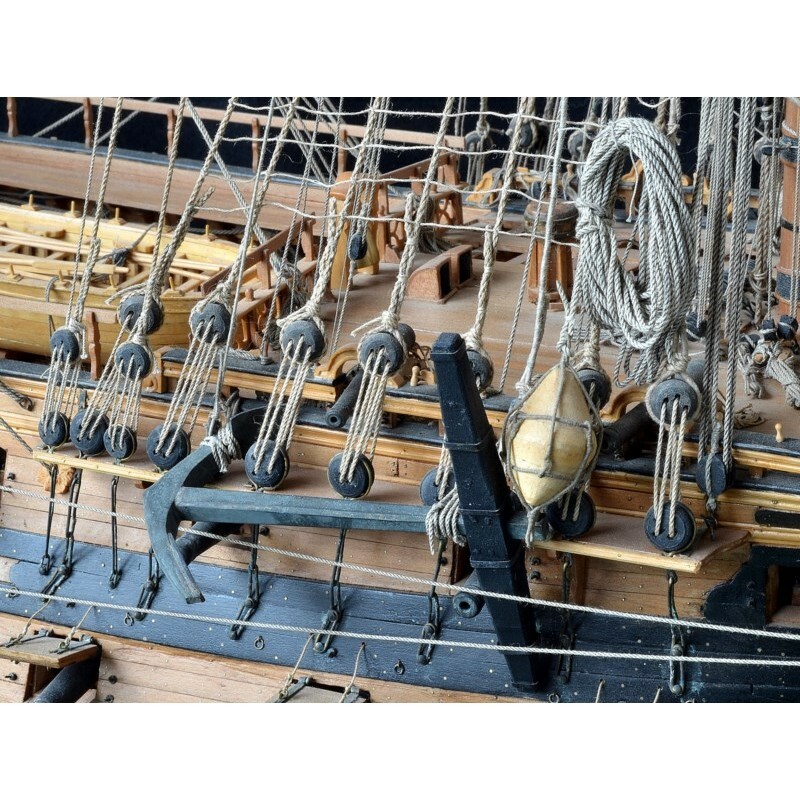 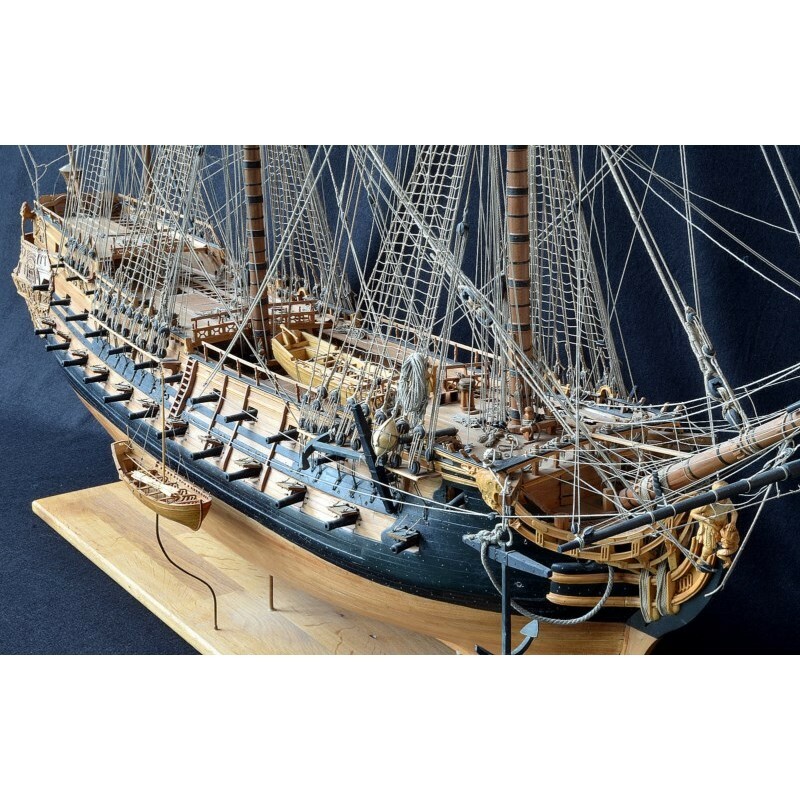 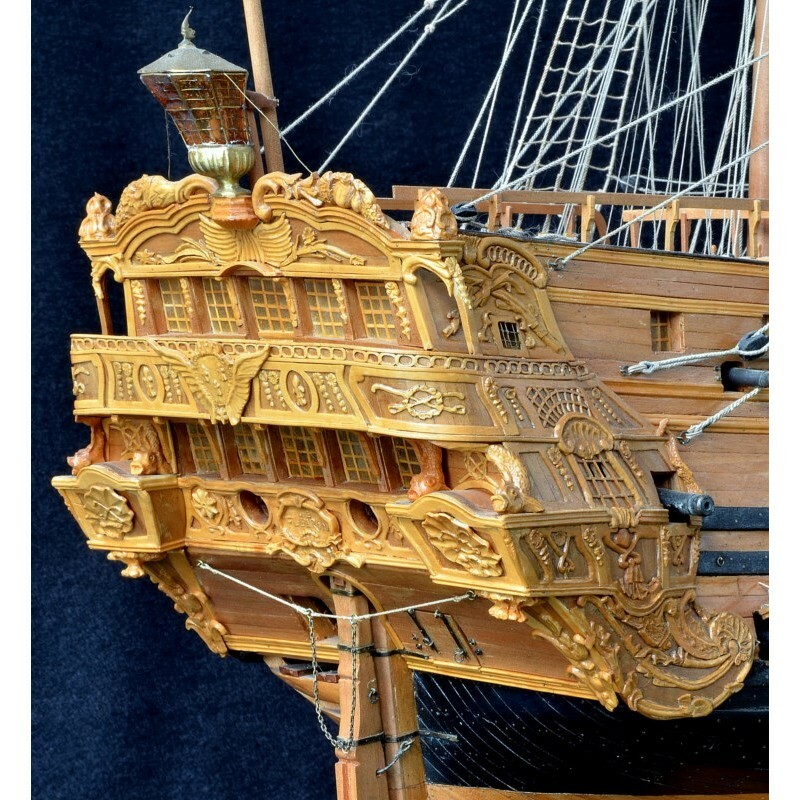 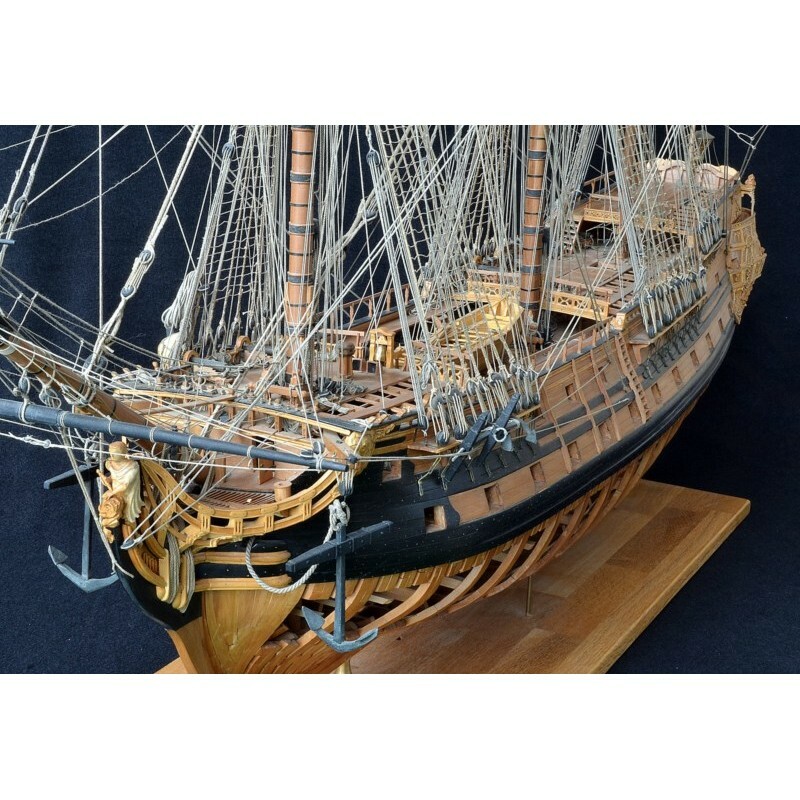 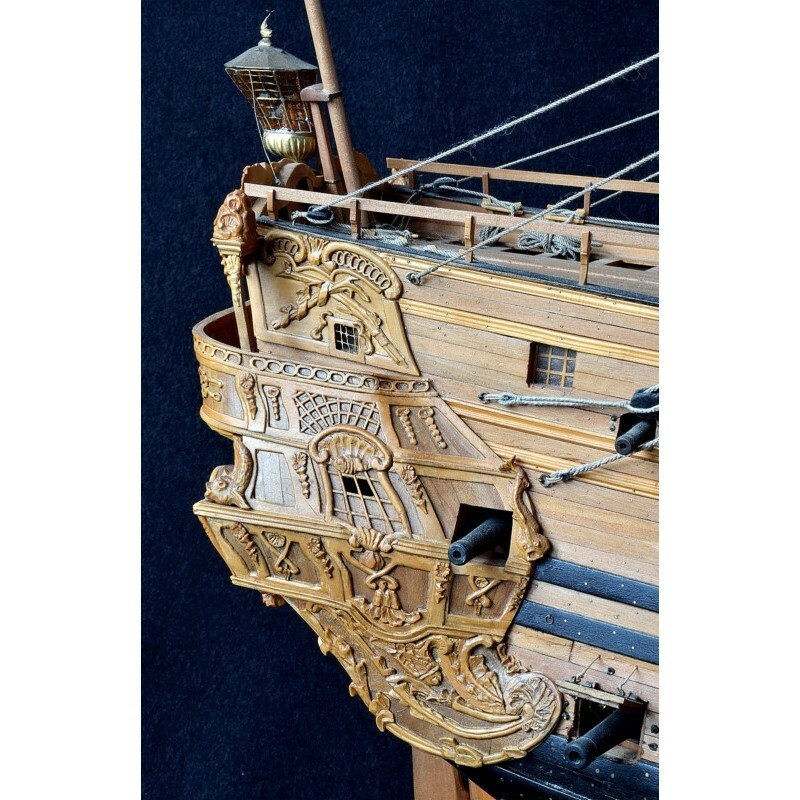 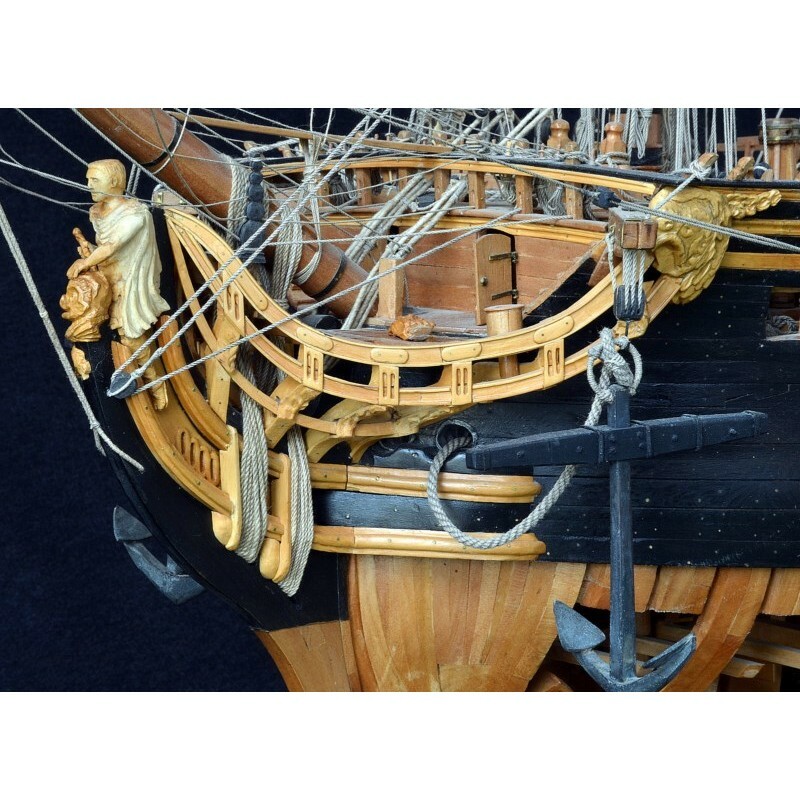 Its superb hull, elegant timbers perfectly defined and described, oblique inner planking, iron knees, bronze and iron cannon, French riggings with round tops all make the construction of this model a formidable challenge. 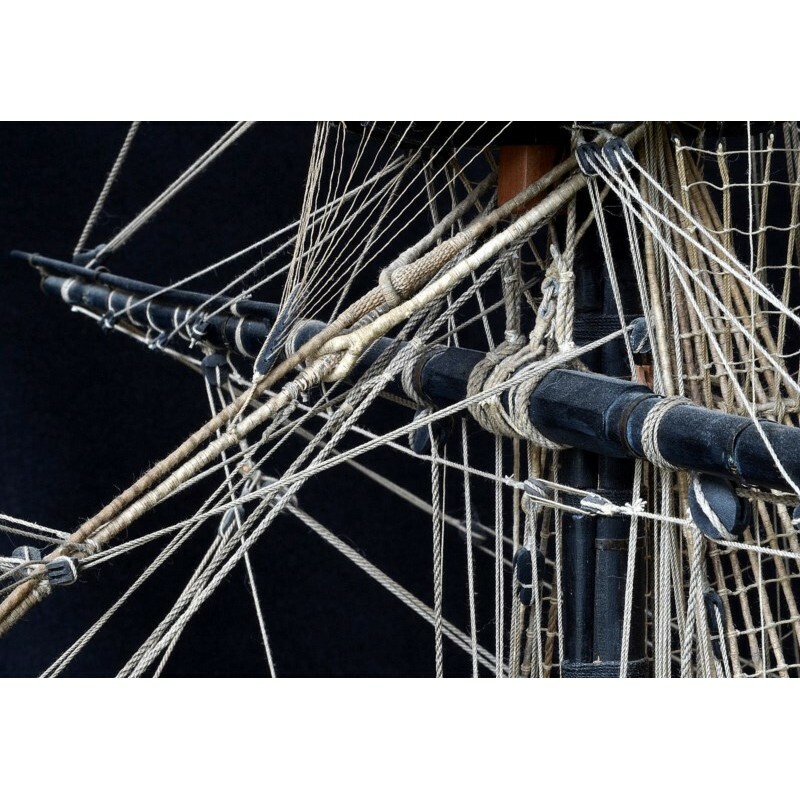 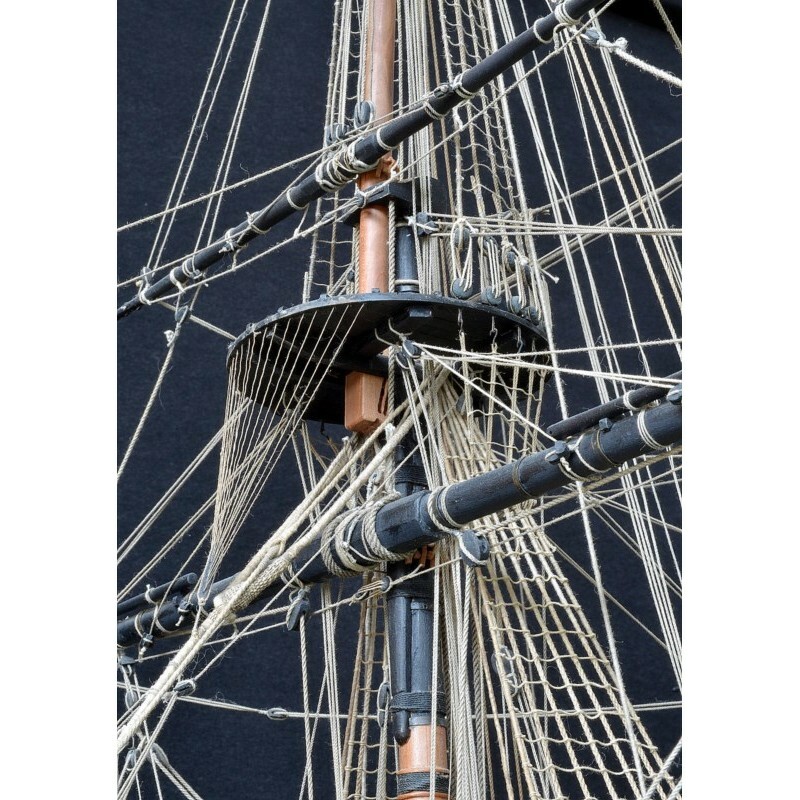 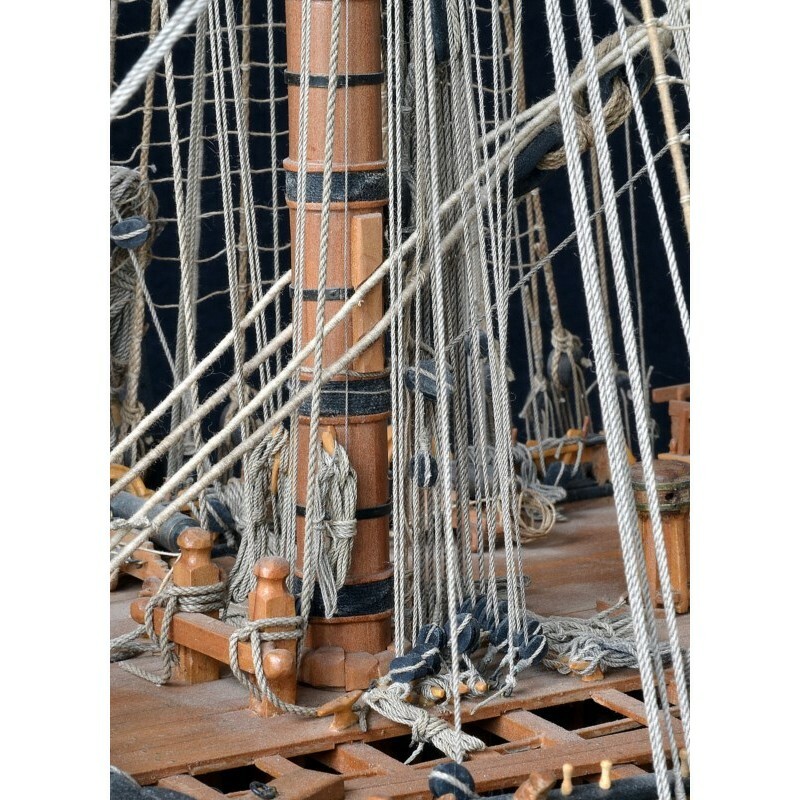 An alternative model of the rigging without timbers may also be built using the instructions at 1:72 scale. 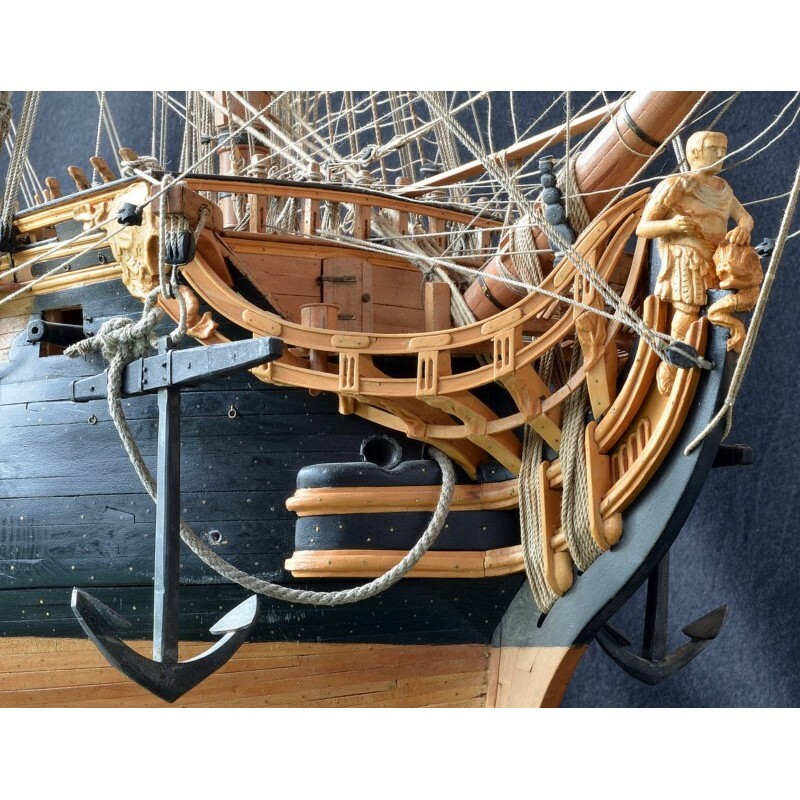 The Fleuron was actively involved in very few combat operations but her career was an unusual one in that she cruised the Baltic Sea, where French squadrons rarely ventured, on three occasions. 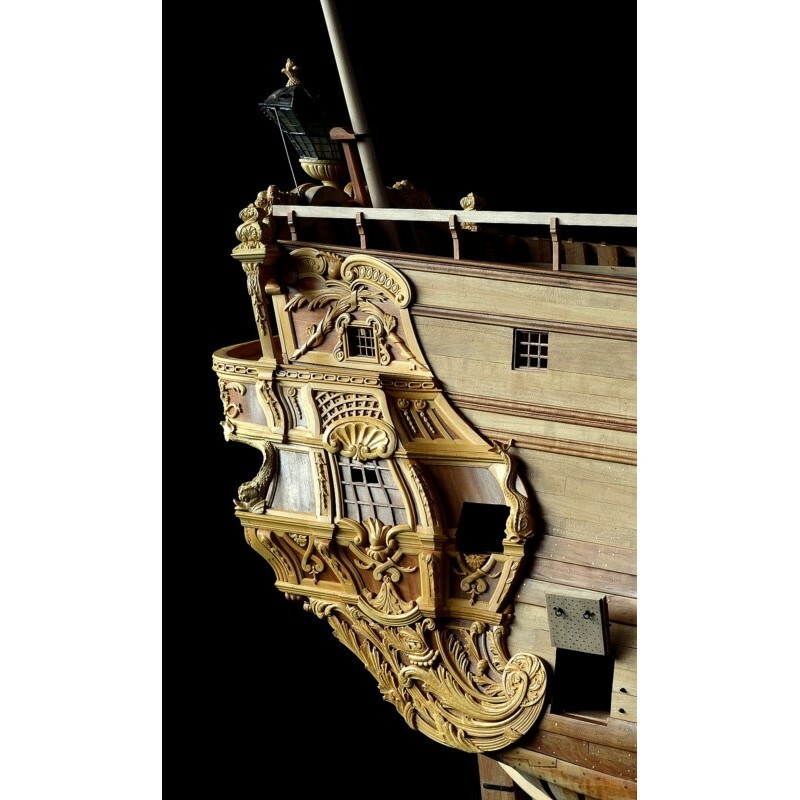 One of these expeditions affords us the opportunity to describe the preparation of a royal ship for a ball that was given on board. 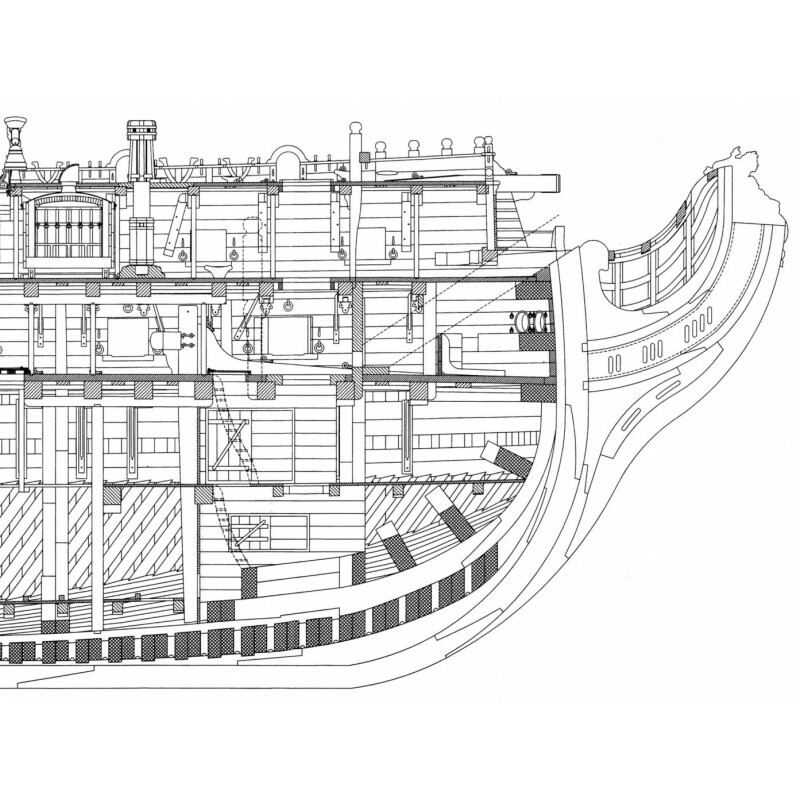 3 - General view of the timbers. 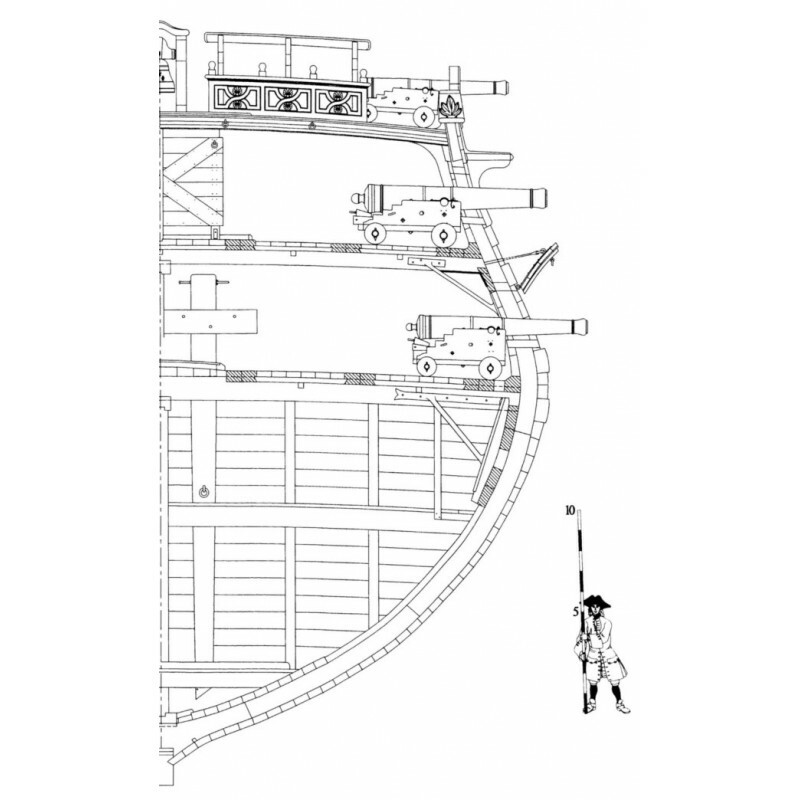 28- Belaying plan. 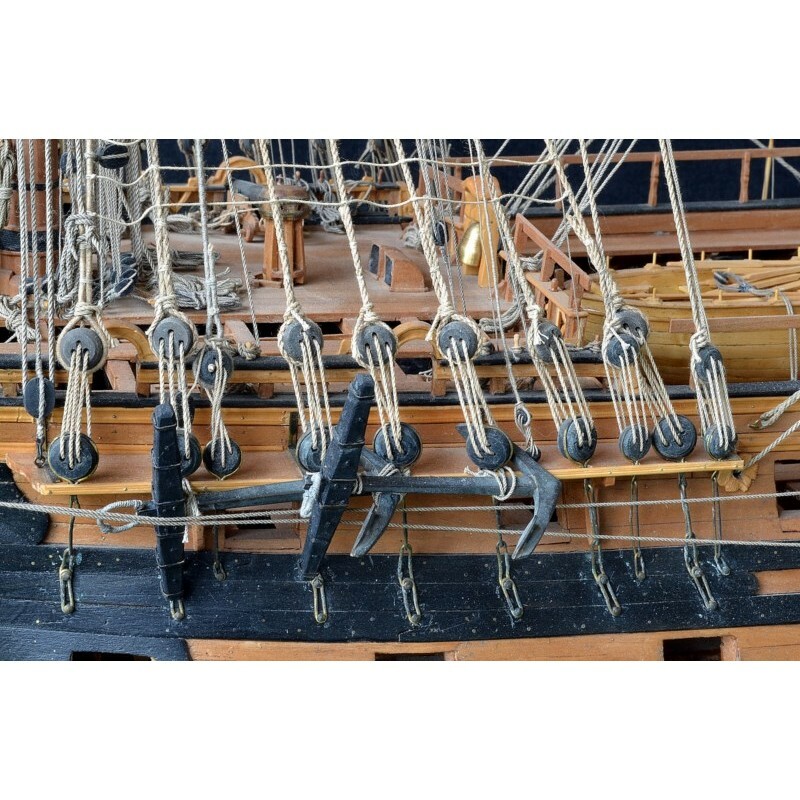 Blocks (in the text).